The Elections are right around the corner and, unless you’ve been avoiding any type of media like the plague, you probably have seen news on the Philippine Elections and our candidates. You’d see ads promoting the candidates, their platforms, and the various propaganda surrounding it. You see issues on citizenship, slap fights, and the like…it actually becomes so convoluted that it all feels like a game at times… but what if it can be? What if it’s a game that YOU COULD TAKE PART OF… sorta. Well if that’s your thing, you’re in luck! 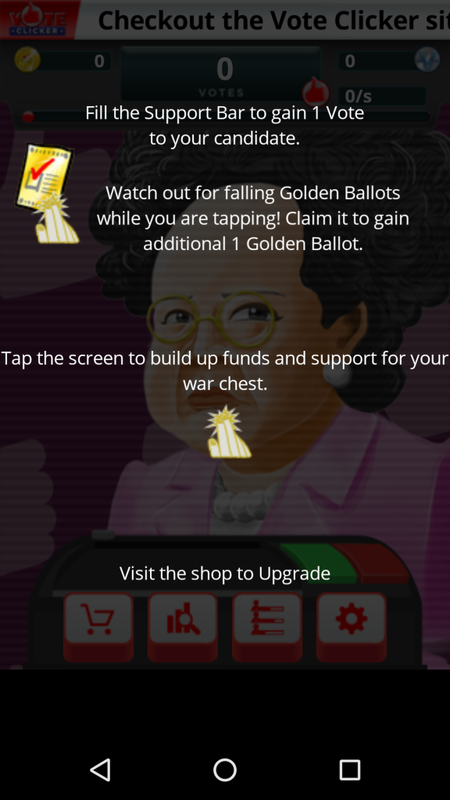 Enter VOTECLICKER the Mobile App Game. Released by Popsicle Games, Vote Clicker is a mobile game available for iOS and Android users. This game is an online crowd-sourced vote scoring system that simulates the elections and let’s you support the candidate of your choice – whether that’s Mar, Miriam, Duterte, Poe, or Binay. The central game mechanic is tapping your mobile phone’s screen. You tap falling ballots, you gain support, and, at a certain point, you gain a vote. Stuff happens in between like certain events that you need to circumvent or stuff you want to do. Of course, to do any of them you need funds which you get from the tapping game. The Presidential candidate who gets the most number of online votes by May 2016 wins so, if you want your candidate to win, you best get busy. 🙂 The game features a lot of items and upgrades to be unlocked as well as gives you the opportunity to run your own propaganda machine. You can even do PR Stunts for your candidate. These, along with ALL of the events previously mentioned, are what you have in-store for you as you play VoteClicker. If you wanna try it out, it’s now available on iTunes App Store and Google Play Store. 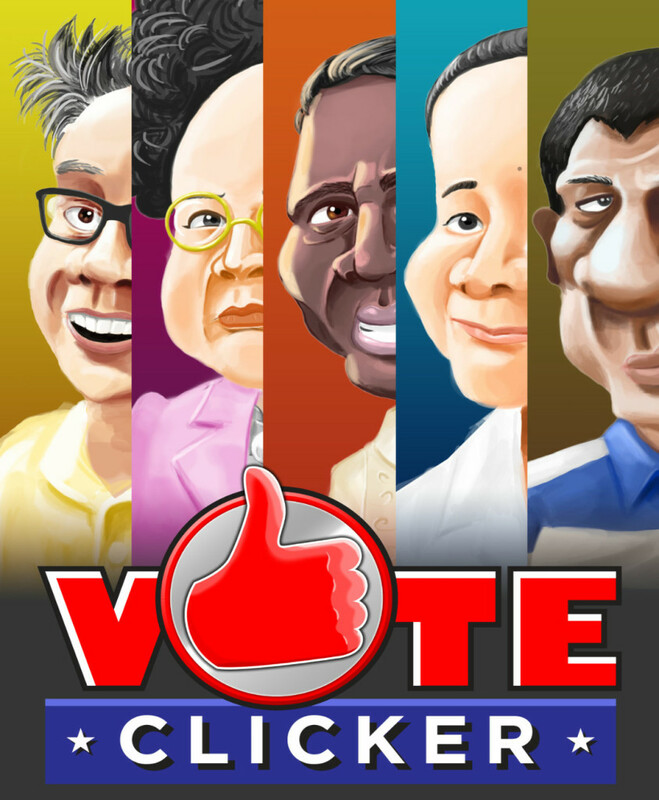 You can also check out voteclicker.ph for more details!